Villajoyosa is a hidden gem located on Spain’s Northern Costa Blanca shoreline in between Benidorm and San Juan. Villajoyosa is known locally as La Vila Joiosa. To get there you can either fly into Alicante airport or Murcia airport. Once at the airport you have a range of different airport transfer options to Villajoyosa including private shuttle buses, taxis or Villajoyosa car hire. 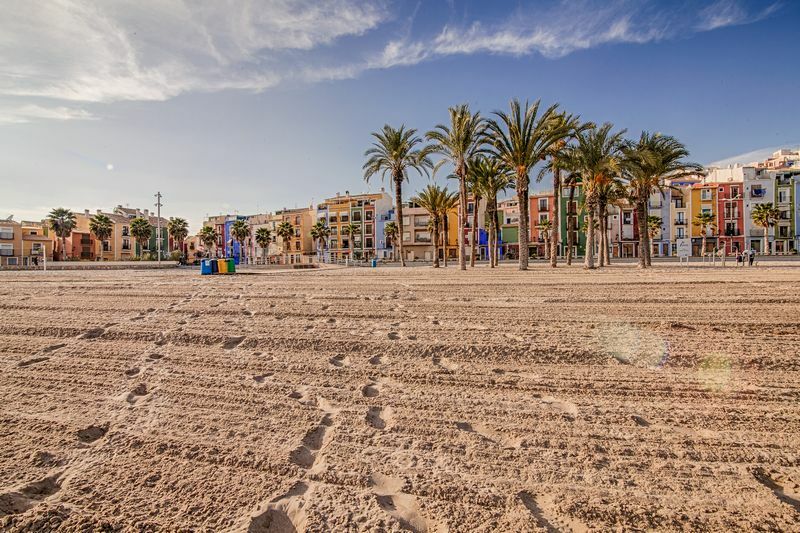 Villajoyosa is known to have the whitest sandy beaches of the Costa Blanca with blue flag status. 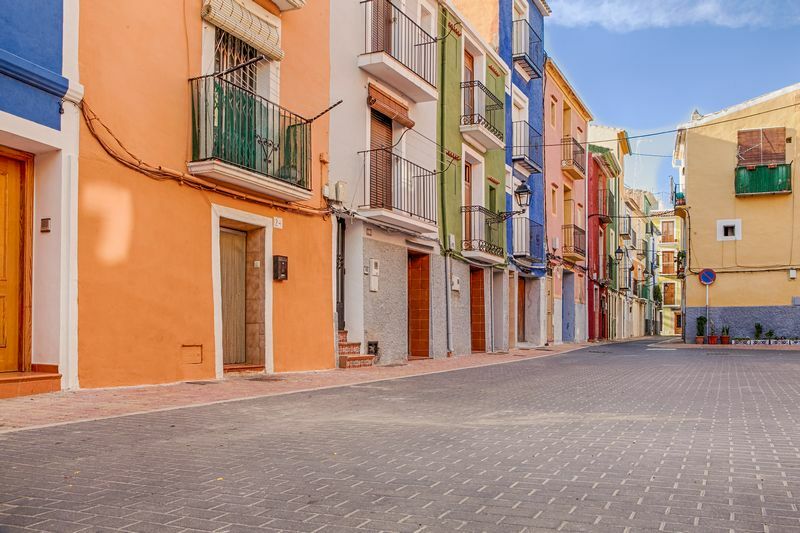 Villajoyosa is architecturally so colourful it reminds of the Brazilian city Salvador de Bahia. 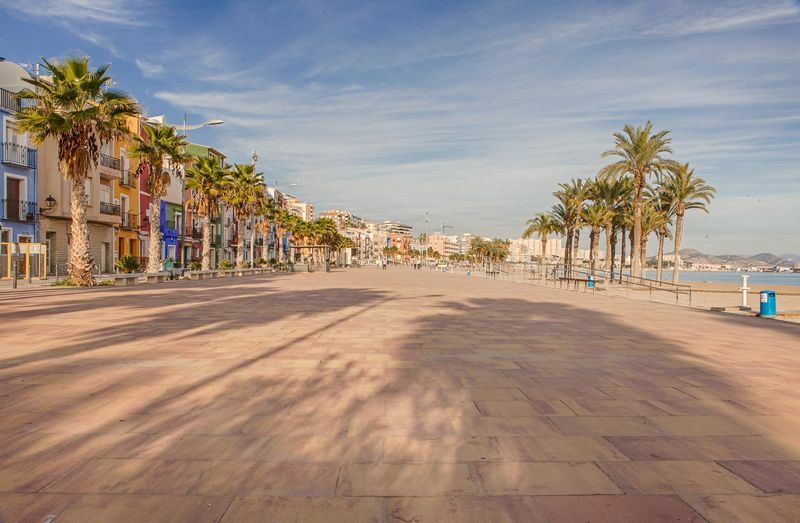 The long stretch of white sand is framed by a promenade with mostly Spanish bars and restaurants and with plenty of palm trees providing the necessary shade for a good day out. The beach also has an extensive play area for small children. 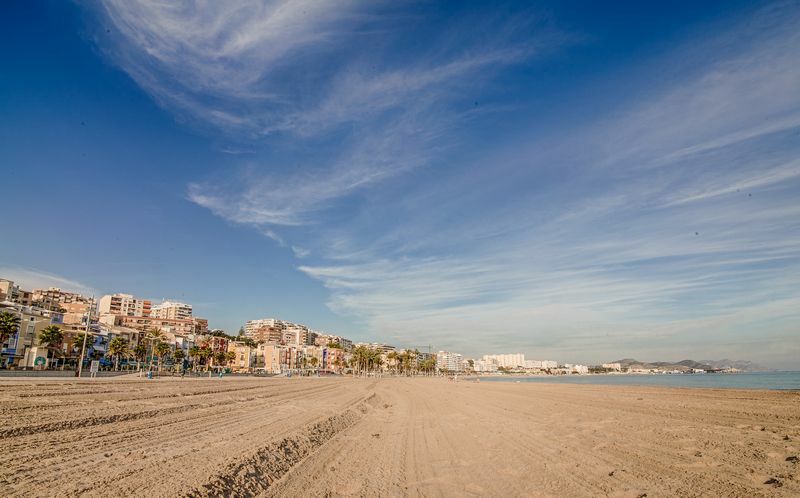 There are four main beaches in Villajoyosa: La Platja Centre (Central Beach) close to the city centre, El Paradis beach and Xarco beach with a watchtower and Torres beach with a Roman Tower. There is a small cove used for diving and naturism, the Racó del Conill. The Bon Nou and La Caleta beaches with their sparkling, clear waters are also worth a look. Villajoyosa has some great walks along the coast. They are known in Spanish as Caminos de la Costa. The Xarco walk heads south after you have crossed the River Amadorio, highlights include the shrine of the Virgin de la Salud, the Paradis and Bol Nou beaches and the Xarco watchtower. 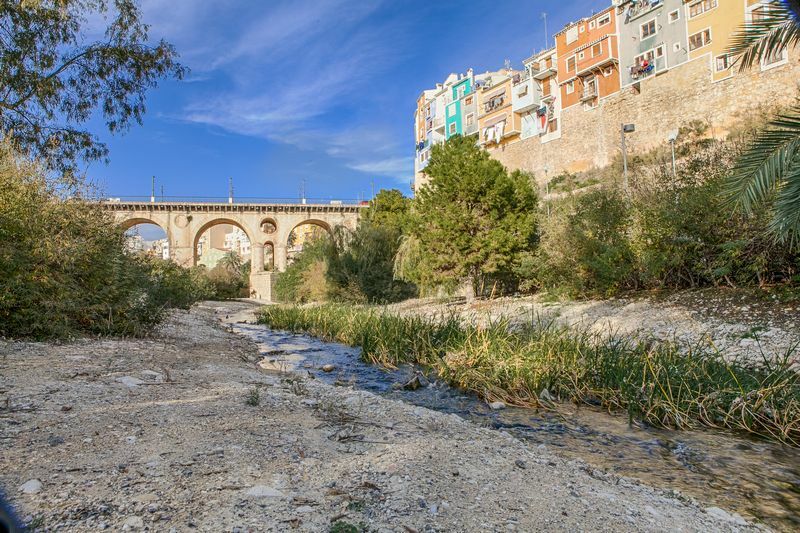 You can also try the Cala walk, heading north this route is more rocky with cliffs, highlights include the Arrabal houses, the Bay of Vila Joiosa, fishing harbour and the Estudiants, Torres and Raco del Conill beaches as well as the Roman funeral tower Torre de Sant Josep. 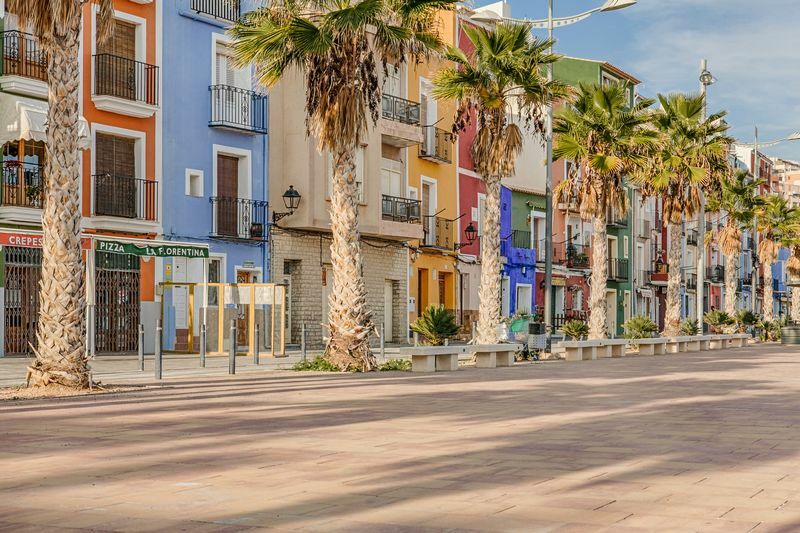 If you want to book a vacation to Villajoyosa, the nearest airport to fly into is Alicante which is roughly a sixty minute car journey away. Villajoyosa is home to the famous Valor chocolate factory. Valor is the brand of chocolate most commonly sold at the local supermarkets like Mercadonna, Masymas, Eroski and Carrefour (in nearby Benidorm).The Valor Chocolate factory makes for a good day out and has many visiting school children from the local schools. Market day in Villajoyosa is Thursday, fish markets are held on a daily basis in the port and flea markets are held on Sundays.